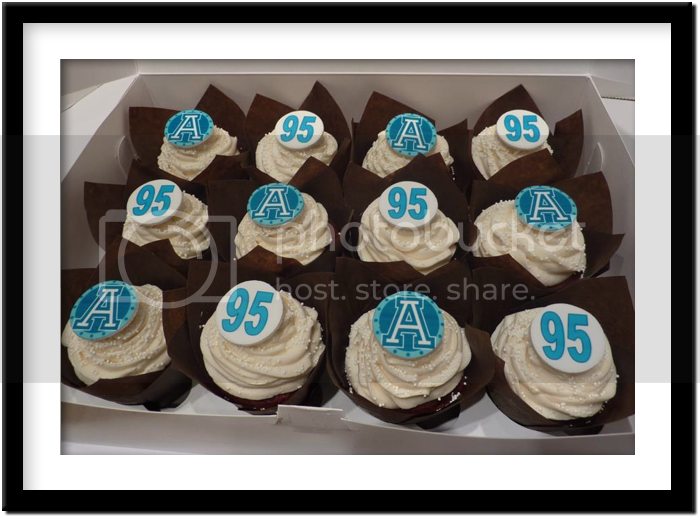 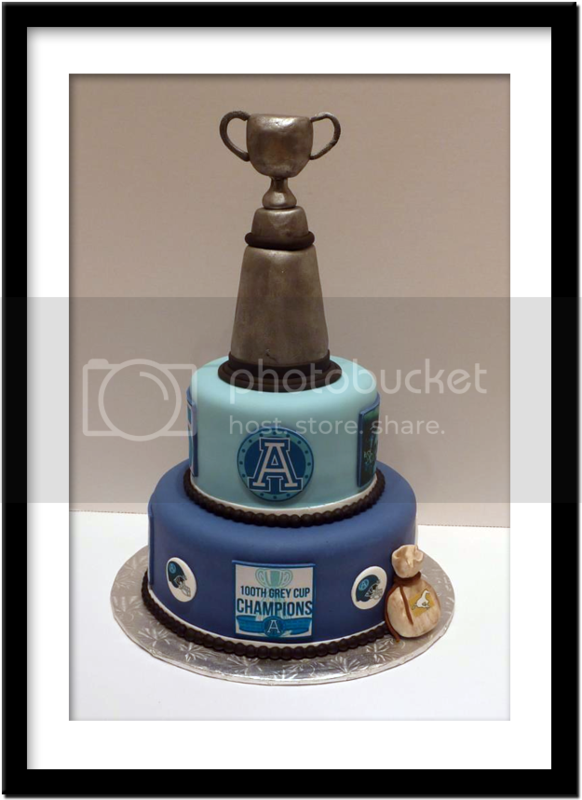 We were delighted to be given the opportunity to create this Grey Cup Championship cake to honor this year's Grey Cup winners the Toronto Argos. 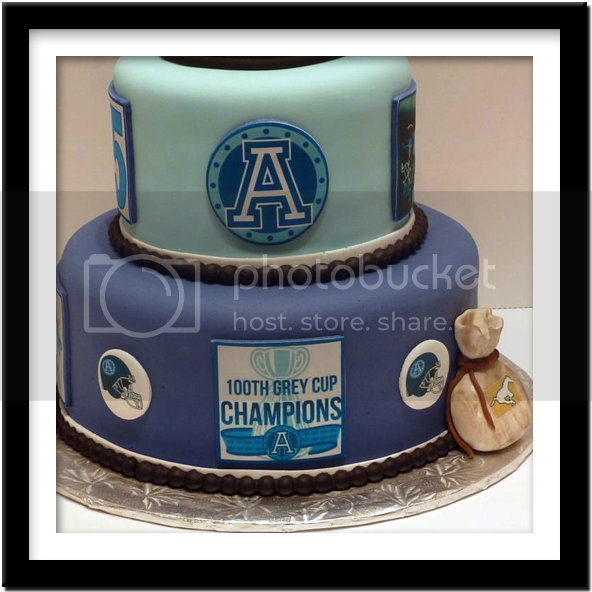 This cake features a beautiful grey cup model on the third tier of this 3 tiered cake. 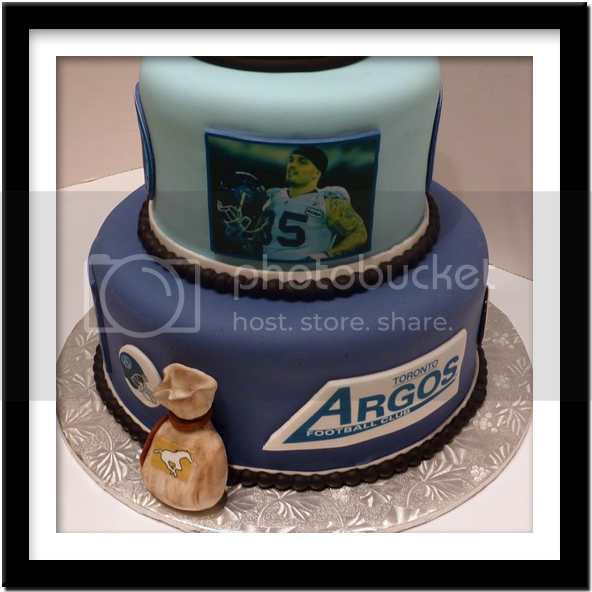 With added details like edible photos, and Argo's logos the cake itself is a winner! 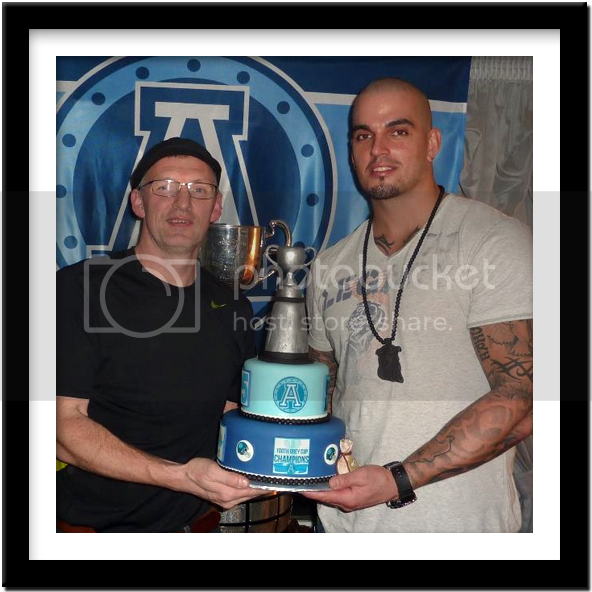 Here are some more photos of the order and Coffee & Cakes owner Mark Robinson with Rick Foley.